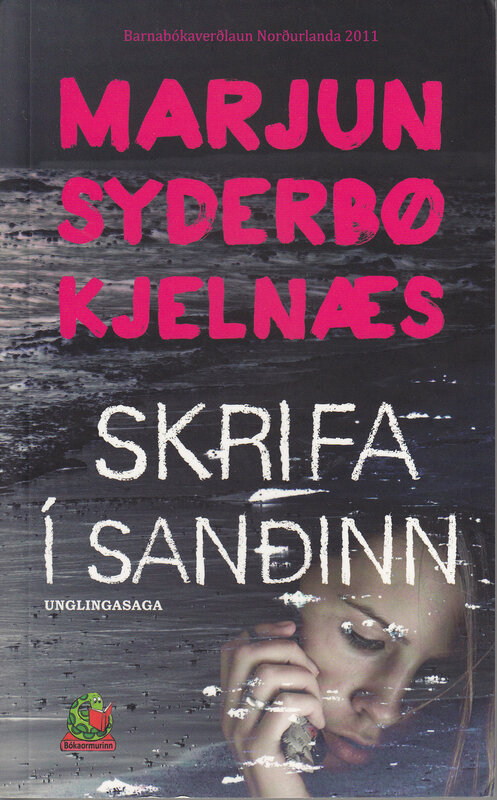 “Skriva í sandin” (Writing in the sand) by Faroese author Marjun Syderbø Kjelnæs was released in 2010 and gives us glimpses into the lives and struggles of young adults in the ages 16 to 20. The book has been translated into Danish and Norwegian and now also into Icelandic and has received good reviews in all countries. The book won the White Raven prize from Deutsche Jugendbibliothek and the book prize of the Nordic Librarian Association. “Writing in the sand” was also the Faroese nomination for the first Nordic Council Children and Young People Literature Prize in 2013. The Icelandic version “Skrifa í sandinn” is translated by Heiðrún Hødd Guðmundsdóttir and published by Bókaormurinn.